HSS is a division of Benchmark, a human services company that provides services to people with disabilities. Part of Benchmark's mission is to help individuals with disabilities find and keep meaningful employment. Through Benchmark operations division, our employees, including those with disabilities, install the reflective tape, package and ship all the products sold through HSS. Please visit our website at www.benchmarkhs.com if you like to know more about Benchmark Human Services. 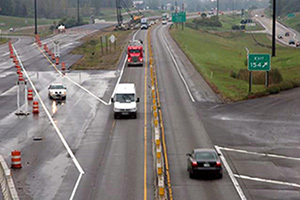 Highway Safety Specialists is located in Fort Wayne, Indiana and brings over 12 years of experience and knowledge in producing and selling roadway safety products. We are proud to offer products that help make highways safer to travel and help protect the motorists traveling on them.